Would you listen to Seducing Simon again? Why? Yes, if someone else was doing the narration. The story was just a straight forward romance. No mysteries to solve, no evil characters hanging around--just a "let's listen to this and enjoy" kind of story. Sometimes it is just nice to listen to an "easy" listen. The relationship between all the characters--not just Simon and Toni. These four individuals has made a true family for themselves and it was fun to listen to the interplay between them all. Get a different narrator. When I listen to my audiobooks, I like to be able to distinguish between the different people in the story. This narrator used almost the same voices for all the characters...male, female, young or old. AND when the story calls for someone to yell or get angry or upset, it would be nice for the narrator to at least change the tone of the narration....It was all the same drab thing...Happy, angry, crying, scared...never a change in the tone . Unbelievably bad! For a Banks book, this was ok to fairly good. 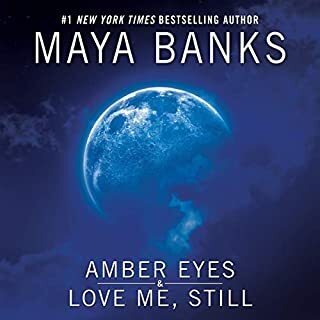 I think I just have such high expectations for every single Maya Banks book I read/listen to after listening to the Sweet Series and McCabe Clan Series. This was simply ok to fairly good. There were great moments, but then there were boring moments. The plot line was good, but at times, I was like Toni should have just told Simone about the baby already... but no... Secrets Secrets! The ending was a bit dramatic… but I like the HEA ending. Ok narration. There really isn't a difference in male voices or female voices. The narrator more so read it not narrated it... if that makes sense... It was still decent though. Credit... not a Maya Banks gotta have must buy! Maybe even a sale. 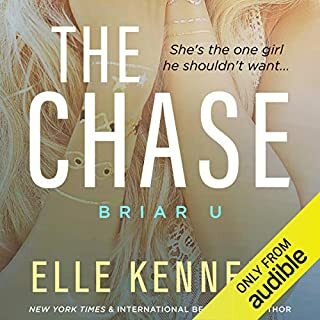 Please don't go buying this expecting it to be the usual HOT listen that Maya Banks usually writes (and the cover suggests) as it's definitely not - it's more Mills & Boon. But what it is is a tender, sweet, riveting romantic book about the dilema of unrequited love which include secrets, seduction and hope as two best friends take a gamble of crossing the boundary of friendship hoping it will lead to love but aware they could lose everything. Another well written MB book (just without any heat!) and, as it unfolds, you understand the emotions of both the main likeable characters involved and find yourself pondering over the all important question of should she tell him and exactly when would the right time be. 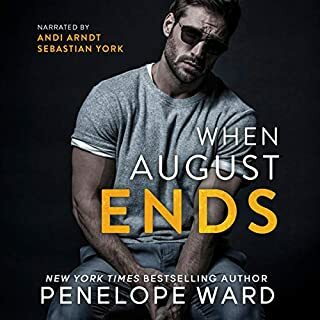 You'll laugh, cry and sigh as their turbulent emotionally and sexually charged relationship grips you, then events and a disaster spins you about until, in the end, you're spat out the other end breathless, exhausted but grateful for another great listen. Worth a credit? 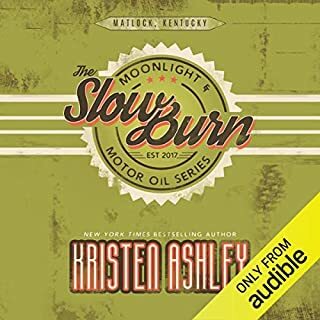 Well it falls under my $10 rule, so my dilemma is if it was $19.77 instead of $9.77 would I regret the credit - no I wouldn't but I would have liked/expected it to have been longer and to include either the addition of her usual spice, or a final chapter or epilogue that not only wraps up the HEA but puts a nice big pink or blue bow on top. The narrator’s voice is soporific. I can’t tell you how many times I fell asleep trying to listen to this story. It is the vocal equivalent to watching Kristen Stewart act. The story is ok. I know it was originally published in 2006, but it obviously was republished for narration. All I could think was, why does no one have a cell phone?!? Ok I want to know if Simon really was that drunk that he forgot a night of sleeping with a women, how did he drive himself home? If he got blacked out drunk, he wouldn't of been able to. That stuck with me the whole story and just made it extremely hard for me to listen to. If you can get over that, and the weird relationships that are going on, go ahead and listen to this one. SPOILER - The story is about a young women sleeping with the guy of her dreams one night after he catches his girlfridnd in bed with someone, and he comes home drunk. The next day, he does not remember sleeping with her and then she ends up pregnant. This happens at the beginning of the story, so we go through the whole book with the heroine pregnant worrying about how to tell the father, get him to notice her and fall on love with her, and all the things that get in the way. Then something bad happens, they eventually end up together, the story ends; but it ends before she has the baby!! I guess we don't need to see the baby brought into the world safely. Rather ticked me off. I was invested and feel like the story was not finished. Did not care for the narrator. Voice is slow and monotone. Would you try another book from Maya Banks and/or Rebecca Estrella? 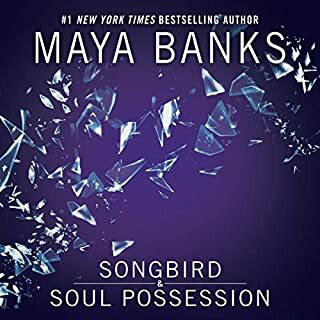 I've read Maya Banks before and was sorely disappointed but I would try her novels again. Has Seducing Simon turned you off from other books in this genre? Just don't do it. Maya has so many other books that are really good. The narrator sounded bored. Her voice almost lulled me to sleep. The story itself dragged on and ended before she had the baby. It was the whole point of this book and we got next to nothing about it. The overall story was okay. It kind of dragged on for a while, especially towards the end. Simon’s attraction was kind of force and not well developed. The narration was soooo monotone! I fell asleep 3 times.